Despite persistent Palestinian violence on the Gaza border, Israeli Prime Minister Binyamin Netanyahu said on Monday that he had not given up on a peaceful solution and would work with international actors such as Egypt, the U.N. and Qatar to achieve that goal. Netanyahu is pursuing diplomatic options to restore the situation to that which existed before the Hamas-orchestrated provocations began in March, a senior diplomatic source was quoted as saying by The Jerusalem Post. Netanyahu was reportedly reluctant to invade Gaza in lieu of any realistic successor to Hamas. “Volunteers are not standing in line to take responsibility for the Gaza Strip,” he said. If there were, Israel might already have acted and handed it over to a responsible party. 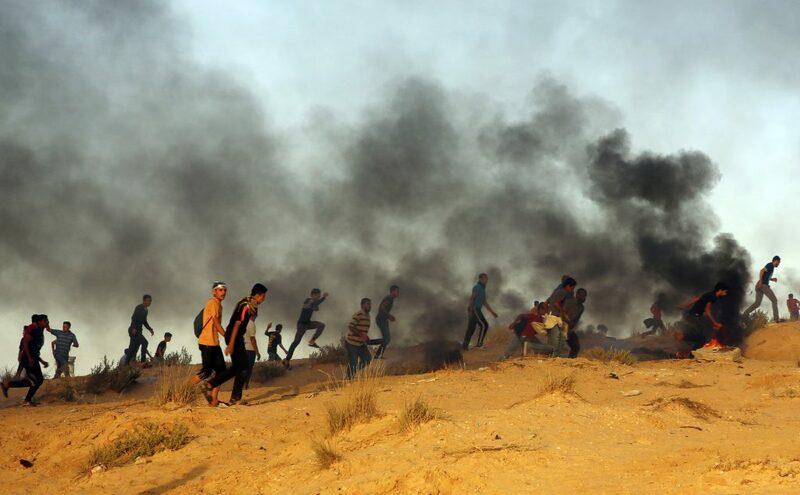 Another consideration is the retaliation to be expected from the Gaza terror groups, which would mean another period of aerial barrages for the population of southern Israel. Meanwhile, Defense Minister Avigdor Liberman did not let up on his advocacy of a military offensive to bring quiet back to the south. But he admitted that his hands remain tied as long as he remains a minority opinion in the security cabinet. Israeli law authorizes the security cabinet, not the defense minister or the prime minister, to make the final decision about going to war, Liberman said.